For nearly two decades, Israel and the U.S. have warned about Iran’s nuclear capabilities and the need to “do something” preemptively. With Ahmadinejad at the U.N., Gary Sick argues for a safer response. President Eisenhower once remarked to his peripatetic Secretary of State John Foster Dulles, “Don’t do something, Foster, just stand there.” From all evidence, Dulles paid not the slightest attention to his boss’ injunction. And that is no surprise. The job description of a Washington policy adviser is never to “just stand there.” It is not in their DNA. Their job is solving problems. It is somehow slightly un-American to suppose that problems may at times have no solution or might best be alleviated by keeping hands off. Iran has been a critical issue for the United States and Israel for a very long time. Seventeen years ago, in January 1992, the U.S. Task Force on Terrorism and Unconventional Warfare of the House Republican Research Committee, asserted that there was a "98 percent certainty that Iran already had all (or virtually all) of the components required for two to three operational nuclear weapons.” That same month, Binyamin Netanyahu told the Knesset that "Within three to five years, we can assume that Iran will become autonomous in its ability to develop and produce a nuclear bomb… (The nuclear threat) must be uprooted by an international front headed by the U.S.” In that same year, Robert Gates, then director of the CIA, asked, "Is [Iran’s nuclear program] a problem today?" He answered, "Probably not. But three, four, five years from now it could be a serious problem." Three years later, a senior Israeli official declared: "If Iran is not interrupted in this program by some foreign power, it will have the device in more or less five years." Officially, both the United States and Israel now agree that Iran is unlikely to be able to produce a bomb until about 2013 or 2014—the same five-year window that was being predicted seventeen years ago in 1992. For the better part of two decades, there have been cries of alarm that the United States must “do something” or else Iran would have an operational nuclear weapon within a few years. If these warnings of a “ticking clock” had been heeded, there would have been ample reason for the United States or Israel to go to war with Iran at almost any time. In fact, there have been as many serious predictions that a war was imminent and unavoidable as there have been false predictions about the timing of an Iranian bomb. Seymour Hersh, writing in the New Yorker beginning in 2006, quoted many sources inside and outside the U.S. government who claimed that the Bush administration was preparing to attack Iran because of its nuclear policies. It now appears that Vice President Cheney, based on his own words in retirement, was in fact pressing for such an attack, but President Bush vetoed it. In June 2008, former U.S. ambassador to the United Nations John Bolton predicted that Israel “will attack Iran” before January 2009 when the new U.S. president was sworn in, but apparently the Israeli leadership decided otherwise. Just a few weeks ago, retired Air Force general Chuck Wald on National Public Radio outlined a sustained bombing campaign against Iran that would last “weeks or months,” then added, “Now, does anybody in their right mind want to attack Iran? No, not a bit. But sometimes you've got to do things you don't like to do.” From the tone of his voice, the prospect of an attack did not seem to dismay him, and he has gone on to write a series of op-eds pushing the military option. These statements are admirably clear in recognizing that the end game in any concerted pressure campaign against Iran is war. Secretary of State Hillary Clinton threatened “crippling sanctions” to be imposed on Iran if it failed to cooperate with U.S. diplomatic efforts. That phrase was later echoed by Israeli prime minister Netanyahu during his visit to Germany, and it is expected to be a major focus of the U.S. Congress starting in September. Iran does not have sufficient refinery capacity to meet all its gasoline needs, and the Congress is expected to press for actions that would attempt to curtail or block such imports into Iran. A prohibition of Iranian petroleum imports—most likely restricted to the United States and perhaps some of its European allies since Russia, China and even many of Iran’s allies (think Venezuela) and immediate neighbors (think Iraq) are unwilling to cooperate—can only be truly enforced by a blockade, which is an act of war. With Iranian president Ahmadinejad in New York spouting his usual venom and with negotiations scheduled to begin with Iran on October 1 over a package of issues, including their nuclear plans, it is the right time to stop and think about where we are, how we got to this point, and where we want to go. First, beware of panic cries of ticking time bombs. The world may have more time and more bargaining leverage than is generally supposed. Iran has proceeded very slowly with its nuclear program. If Iran had proceeded at the same speed as Pakistan (which had far fewer resources than Iran), it would have had a bomb test and a deliverable nuclear weapon more than decade ago. Iran has chosen to remain in the Nuclear Non-Proliferation Treaty (NPT) and to accept International Atomic Energy Agency (IAEA) inspections, over the objections of its own hardliners—the only proto-nuclear state to have done so. Iran has repeatedly and formally declared at the highest levels that the production, storage or use of a nuclear weapon was contrary to Islam and not in Iran’s national interest—most recently earlier this week by Supreme Leader Khamenei. • What if Iran gets a full nuclear fuel cycle? • What if they get a nuclear weapon? • Is it possible that Iran and the United States could ever again develop a level of trust that would permit them to become partners rather than antagonists? For all practical purposes, much as we may dislike it, Iran has already answered the first question. Iran has already mined and enriched uranium, though it has not yet fabricated the product into fuel rods that could be used in a nuclear power reactor, nor have they given any indication of building a reprocessing facility that would “mine” highly irradiated uranium and plutonium from spent fuel rods. It is highly unlikely that any Iranian leader would give up the current nuclear capability. That was an objective of the shah, and it would no doubt be pursued even by opposition leaders such as Mir Hossein Moussavi and Mehdi Karroubi. The current mastery of the fuel cycle means that Iran is essentially independent of outside suppliers for its nuclear power plant(s). It also means, of course, that Iran has the basic capability to “break out,” i.e. to recycle its low enriched uranium (LEU) to weapons grade (roughly from 5 percent to more than 90 percent enrichment) and use that material to build a nuclear weapon. The amount of time it would take to go from LEU to weapons grade and then to a deliverable nuclear device is debatable but could require five years or more depending on the level of sophistication and preparation. Iran currently has about enough LEU to be able to produce a single crude nuclear device. But in order to do so, it would either have to build a completely secret production line or else withdraw from the NPT, kick out the IAEA inspectors, and try to proceed. The more inspectors are on the ground (and Iran is presently the most inspected country under IAEA supervision), the less likely it is that a completely covert facility can be created. Use of the present enrichment facilities to produce bomb-grade uranium would certainly be noticed and reported. It is an early warning system. If Iran has a known capacity to be able to build a bomb, its negotiating leverage is nearly as great as if it actually had one or two crude bombs in its possession. That calculation, we now know, was the shah’s strategy before the 1979 revolution; it is very likely the strategy of his successors. It maximizes influence and minimizes risk. What if Iran got a bomb? Well, unless they buy one intact, the process of actually moving to weaponization is likely to be noticed, so one must ask what happens between the moment when they decide to proceed to a bomb and when they actually have it. That period, which is apt to be several years, would be the true case of the ticking time bomb, and that would be the moment for consideration of extreme pressure tactics, probably with very wide support in the international community. Iran knows this, and that is itself a disincentive for them to proceed. 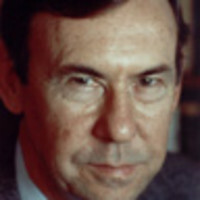 The real purpose of negotiations, in my view, is to build a system of monitoring and inspections that will (1) provide maximum early warning of a potential future Iranian decision to “break out;” and (2) insure the maximum possible interval between that moment and the moment where Iran could actually have a bomb. Iran has said on several occasions that it is willing to accept such an enhanced inspection regime, but it will no doubt insist on a price. That, I think, is what the negotiations should be about. Can the United States and Iran ever rebuild a sufficient level of confidence to be able to work together effectively on nuclear, regional or other issues? With the present regime in power, that is probably asking too much. The one bright spot, however, is that Ahmadinejad, despite all his swagger and bluster, is a secondary figure at best in the actual decision-making on major security policy. Any Iranian decisions taken in real negotiations will be taken by consensus. Based on everything we know, Ahmadinejad’s voice, however shrill, will be drowned out by the real architects of Iran’s foreign policy, whose primary interest is the national interest of the country as they see it. The real question is whether the clamor of domestic politics in both the United States and Iran will prevent the pragmatists on both sides from being heard. Gary Sick served on the National Security Council staff under Presidents Ford, Carter and Reagan. He was the principal White House aide for Iran during the Iranian Revolution and the hostage crisis and is the author of two books on U.S.-Iranian relations.